Thirty years ago the vision and mission of UrbanPromise was conceived in a dusty church basement in East Camden, NJ. A small group of college missionaries created a summer camp for neighborhood children--providing a safe, loving, fun, and creative place for local youth to escape dangerous city streets. 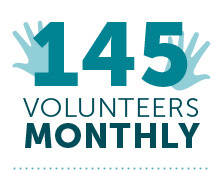 At least once a month, 145 individuals volunteer at UrbanPromise in a variety of capacities. We also host around 850 annual volunteers who participate in Saturday and week-long WorkGroup activities. Through a myriad of neighborhood-based programs, UrbanPromise educates and empowers around 640 Camden children and teens each year. 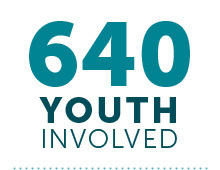 Within the 2011-2012 StreetLeader Program, 83 teens gained hands-on training, attained marketable job skills, and participated in academic enrichment and college prep activities.